This month has been very busy with lots of birthdays including Sophie’s 30th and Gracie’s birthday and engagement so some of our favs this month have been gifts we have received as well as things we have discovered ourselves. I (Gracie) received this gorgeous notebook from Sophie as a little engagement present because she thought it would be perfect to use as a wedding planner notebook. I absolutely love it because it fits perfectly in my bag and the colours are fab, especially the gold background! Sophie bought this in a little gift shop in Balham but you can also buy them online (click on the photo be taken to the website). We have recently had some Squirrel Sisters merchandise made and we are loving our new canvas shopper bags. We will be doing lots of competitions over the next few weeks (because we are about to launch our bars) so if you like them and fancy winning one then make sure you follow us on instagram, facebook and twitter for a chance to enter. 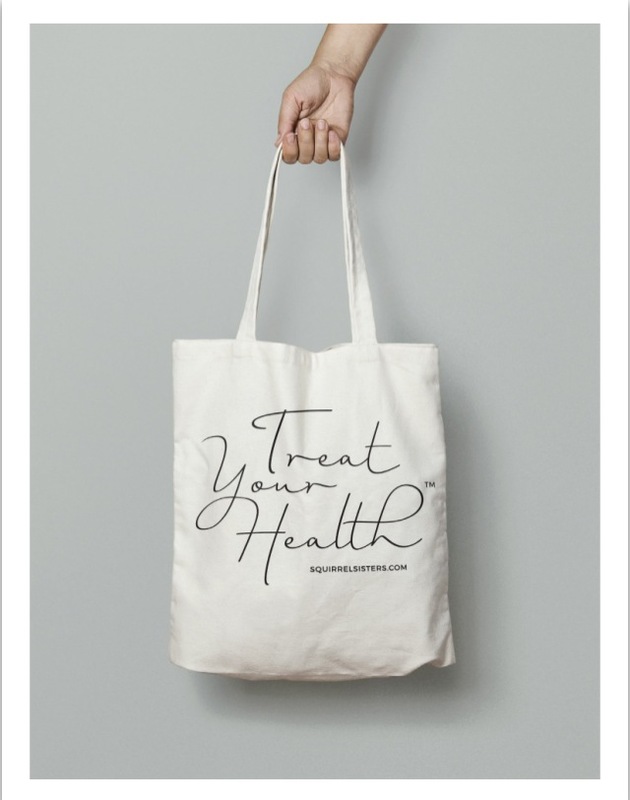 The pictures below show the front and back of the bags. 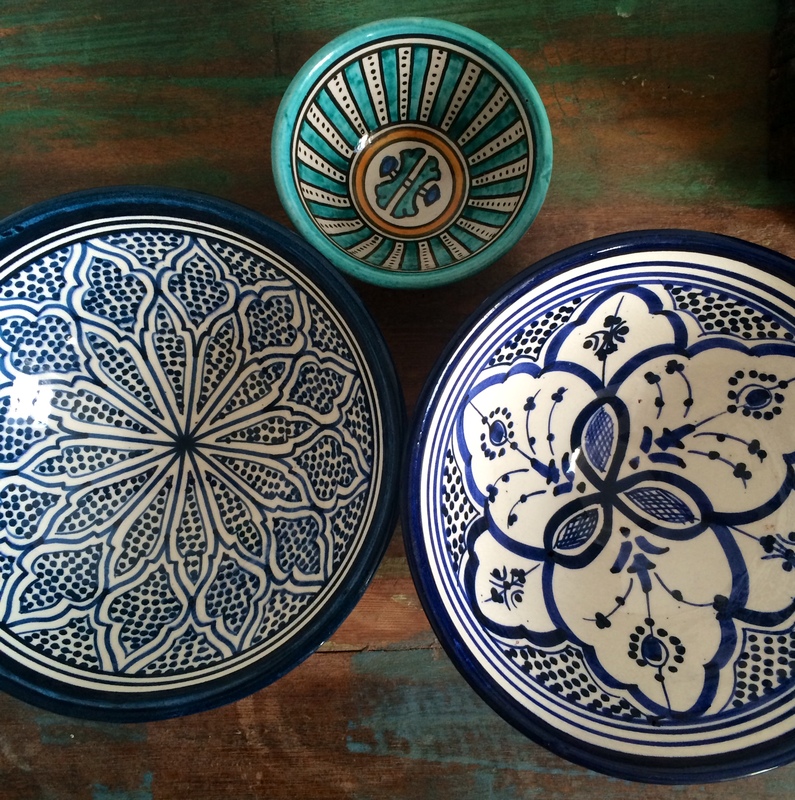 Sophie recently visited Morocco and came back with a load of lovely bowls. We love the colours and quality of these handmade bowls and can’t wait to start using them, they will look fab in our Instagram pics! We are particularly excited to use them for our brown rice pasta pesto recipe. Unfortunately you can’t buy these specific bowls in the UK but if you ever visit Morocco then you can find them in the Souks in Marrakech, or there are some nice ones on notonthehighstreet.com. We have been huge fans of Coconut Merchant products for ages but recently we’ve been flying through our coconut oil jars. We both use it for cooking, but at the moment we have been loving it as a moisturiser, especially now the weather is getting colder! It makes your skin so smooth and hydrated and is 100% natural so there are no nasties that can irritate your skin. I (Gracie) bought this for Sophie as part of her birthday present because we recently went shopping together and she loved the smell. The packaging is so lovely and looks really pretty on our work desk.